A typical daily dose ranges from 300-1200 mg daily, dependant on specific goals, taken daily with food, or as directed by a physician. In case of this supplement the dose is adjusted to individual needs and aims, which one wants to achieve. The powdered form makes it significantly easier and ensures the facility of dosing. It is suggested to start the supplementation from the lowest recommended dose, i.e. 300 mg. If the organism reaction is correct, the dose can be increased gradually, up to 1200 mg per day. It is the upper limit and should not be exceeded. If the aim is to improve memory and cognitive functions it is worth to take the supplement in the first half of the day, before mental exertion or planned study. Athletes, who care about increasing the physical endurance can take the supplement before training. 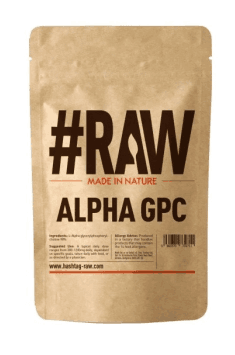 Alpha GPC interacts with scopolamine which is commonly used in treatment of Irritable Bowel Syndrome (IBS) or motion sickness. People taking drugs based on scopolamine should not take Alpha GPC.